During his 20 years of clinical practice, Andrew has seen countless ways that people compensate their movements when they are in pain. When the pain goes, this movement doesn’t always return to normal and if not addressed can be a source of injury recurrence. Many times, old injuries have left residual deficiencies in mobility and / or stability that the body must compensate for. Finding and addressing these deficiencies are the cornerstone of Andrew’s treatments. Andrew’s philosophy is to initially help with the pain, whilst also improving local function and by using exercises improve movement patterns to get patients back to moving how they should. Andrew graduated from Sydney University with a Bachelor of Medical Science and obtained a Masters of Chiropractic from Macquarie University. In addition, Andrew undertook post-graduate university studies and obtained a Graduate Diploma in Chiropractic Paediatrics (children). Andrew has also completed his doctoral studies on golf injuries, which has led him to be an internationally recognised speaker on golf injuries. 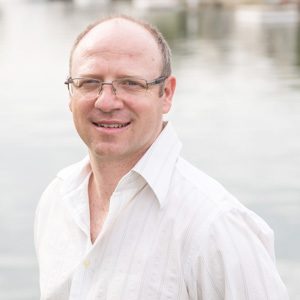 Andrew has also previously taught at Macquarie University in the areas of biomechanics and chiropractic skills. Andrew is a Certified Level 3 TPI (Titliest Performance Institute) Medical professional, Level 2 FMS (Functional Movement Screen) certified and Level 1 SFMA (Selective Functional Movement Assessment) certified. Contact Synergy Healthcare today for an appointment with Dr McHardy PhD.